The lesson of impermanence—the lesson of the soul—is that you will forget all of this. You will forget being bullied as a child. You will forget your first kiss. You will forget the argument that drove your spouse away. You will forget your wedding. You will forget this moment. You will forget this moment. Knowing that practically everything is impermanent—leads to the silver lining: Every moment, every interaction, is a gift—a gift you will soon forget. 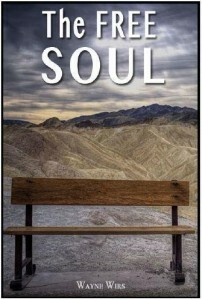 The Free Soul is free e-book from Wayne Wirs, published here on his request. The free e-book is a shorter version, 82 pages, of his other work Mystical Oneness and the Nine Aspects of Being.